Navigate to each toolbar button using TAB key (keyboard only user). Tooltips - title attribute on its own is not a compliant solution.html.hml​ (2.8 KB) - added by Satya Minnekanti 3 years ago. Tooltips - Title attribute on its own is not a compliant solution.html​ (2.8 KB) - added by Satya Minnekanti 3 years ago. Screenshot from 2016-10-14 15-36-07.png​ (71.1 KB) - added by Tade0 3 years ago. Screenshot from 2016-10-14 15-42-34.png​ (76.8 KB) - added by Tade0 3 years ago. fixed-tooltip.png​ (11.6 KB) - added by Tade0 2 years ago. Screen Shot 2016-11-10 at 17.25.15.png​ (22.2 KB) - added by kkrzton 2 years ago. Screen Shot 2016-11-21 at 14.24.27.png​ (17.5 KB) - added by kkrzton 2 years ago. Unfortunately we can't resolve ​http://pokgsa.ibm.com/gsa/pokgsa/projects/s/swf_design/design/Team-Folders/Randy-B/accessibility/aqg/tooltips.html host, it does look like a private one. The ticket is valid, button tooltips would be a good a11y practice. Implementation would require some work and would put a notable footprint on the editor size so for sure it has to be contained within a plugin. Added a "Keyboard Tooltip" plugin that adds a tooltip when a button has focus. Please put the styles inline, there's no reason to make another HTTP request just to get such a tiny file. This CSS should be added in a onLoad method instead of init. The reason for it is that it will get executed multiple times for each editor, while it's enough to do it just once. Tested in IE9, IE11, Chrome, Firefox. There is one issue with the current solution: tooltips for the bottom line of buttons are cropped. In Chrome it's just unaesthetic, but in Firefox the issue is bigger, e.g. "g" looks like "o". Therefore tooltips are very hard to read and can be misleading. The problem is caused by the fact that the container for all toolbars is floated and overflow: hidden is used to preserve its dimensions. However it also cause the cropping of tooltips. Perhaps the overflow: hidden could be replaced with ​clearfix hack by the plugin to properly display tooltips at the bottom? I tried that, but it broke the layout. Then again moving the tooltip a little bit to the top and to the right for good measure seems to look better. What do you think? Yep, the option with moved tooltip looks very good. Ok, so I'll be going with it. 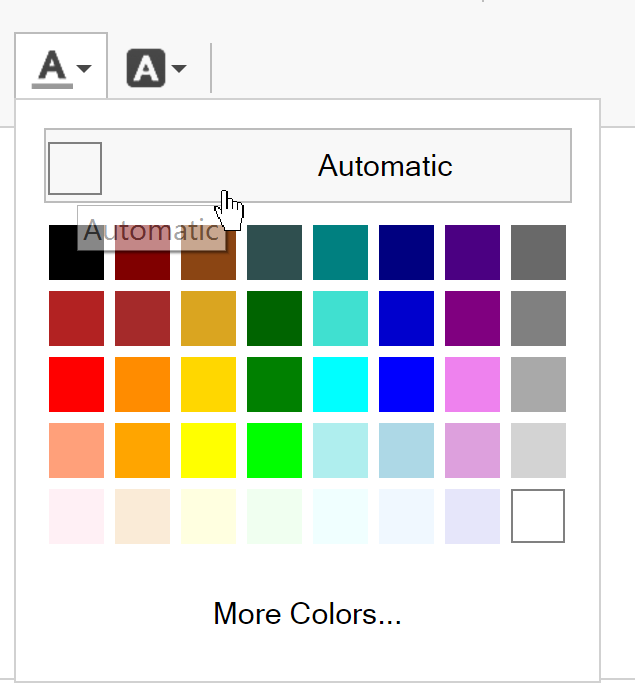 Updated the tooltip - removed the opacity / because it lowers the accessibility (low contrast). Also moved the tooltip a little down. Replaced the native tooltip with this one, added a 1px white border for better visibility in high contrast mode, solved truncation problem. The only thing I'm missing here is support for high contrast, and in fact we should not show tooltip in high contrast. The reason why is that in high contrast labels are visible so there's no need to duplicate this information and make UI more complex. Works for moono-lisa as well. LGTM, before closing the ticket, please publish plugin on a separate repository cksource/ckeditor-plugin-keyboardtooltip. We have discovered one issue. As a tooltip is applied as :before element with relative positioning to the toolbar button (a) it works fine as long as all buttons have position: relative. That is the case for moono-lisa skin and normal buttons in moono skin. However, for dropdowns in moono skin, they have position: static so the tooltip is not rendered in a correct position (see attached screenshot). If we are planning to deliver a generic plugin which will work with different skins I think it might be hard to achieve with the current approach. Probably we should consider global positioning of tooltips instead of positioning relatively to the buttons. 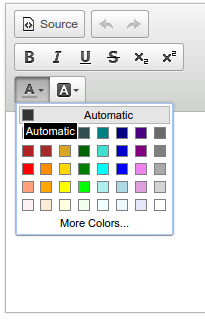 There's a know issue that the tooltip is not aligned correctly only for the first time you open color button palette using the keyboard. Any subsequent calls are fine. The tooltips are not positioned correctly for moono-lisa skin (checked on Chrome and Firefox - see screenshot). If you resize the viewport so that toolbar buttons positions changes the tooltip stays at it initial (and now invalid) position. This is the very rare edge case so I am not sure if it's worth fixing. Overall, global positioning of tooltips is probably a way to go. Maybe you may consider using ​getBoundingClientRect instead of offsets as it might be more accurate? That's right, the problem is fixed by replacing [CKEDITOR.addCss with document.appendStyleText](​https://github.com/cksource/ckeditor-dev/commit/a3a9112039e519e214724cbb5ca39c46e1f9ca84). Also I've added a manual test for Kama skin. Yes it won't reposition itself on resize event, but it will do so on next button focus. We'll extract this into a separate issue. I was considering bounding rect, but it proved to be wrong in some cases, e.g. on our manual test pages. This way of computing offsets had correct results in this cases. And this will change the appearance of the tooltips.